Belinda’s Cocina serves up hearty and delicious meals for our hungry fans. Take a look at their menu and you’re sure to find something that will satisfy. We would like to extend a huge thank you to Belinda's Cocina as they have been a part of our event for several years now and are absolutely tremendous. Book them for your next party, wedding or event at 619-709-6016. Their food is incredible! Doggos Gus serves up some serious hot dogs. 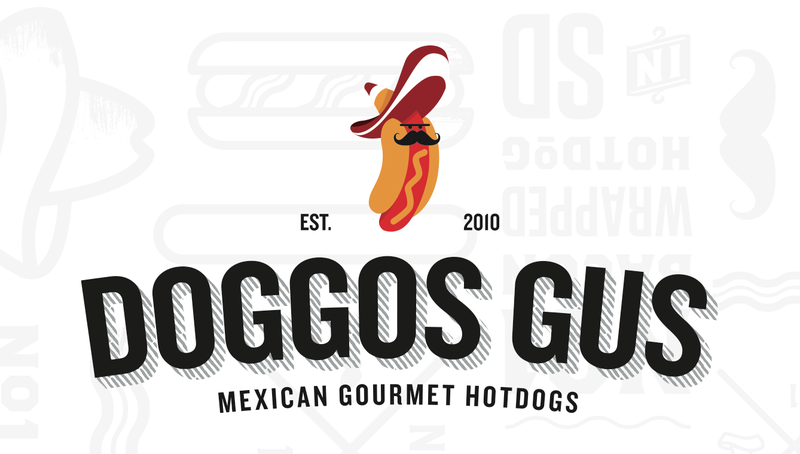 While still in College, Gus and his buddies would take every opportunity to travel in to Mexico, a favorite destination due to the variety of authentic “Mexican Bacon Wrapped Hot Dogs.” AKNA “TJ hot dogs or Sonoran hot dogs”. During their many visits to Mexico they would travel by car throughout the border towns of Tijuana and Mexicali in search of this bacon wrapped beauty. It was not uncommon for the group to take a short flight into Guadalajara or a cruise to Cabo San Lucas, making the best use of their Summer Vacation. Where again they would go in search of and enjoy “Traditional Gourmet Bacon Wrapped Hot Dogs.” This was the opportunity to forget about college, have a great time and focus the mind on the delicious hot dogs with a variety of toppings from grilled onions, mushrooms, guacamole, chipotle, beans, bacon and many more making every hot dog experience unique and fun! We are thankful to have Doggo Gus returning yet again this year. Note: Items at participating Food Vendors are purchased separately from Beer Garden tickets and are limited to availability from the vendors. Food vendors are located outside the Beer Garden so families enjoying the Kid Zone and festivities can have better access. Soft drinks and other non-alcoholic beverages will be available for purchase from the Food Vendors.